Part of the joy of a holiday in North Norfolk is in the exploring and finding your own special places. We have listed a few holiday ideas Norfolk for you to discover. If you do not fancy driving we have the fabulous Coasthopper bus that will take you right along the coast from Hunstanton to Cromer and beyond. Firstly let’s get one thing straight, Norfolk is not flat. For this dubious accolade we can blame Noel Coward, a throw away line in the novel Private Lives saddled the whole county with being ‘flat’ forever. It is however, on the way to no where. You have to want to come to Norfolk. Fortunately thousands of visitors do every year. Norfolk is an elemental, wild and sometimes ferocious place. Over half of the county borders the sea. With a crumbling coastline, low lying salt-marshes and tidal sand spits, it’s ever changing. The beaches are wide, vast and for the most part deserted. The skies are big and blue, Norfolk being one of the UK’s driest counties. Much is made of the coast between Brancaster and Wells-next-the-Sea, but these places are being swamped now by an ever growing number of visitors. Whilst these areas are undeniably beautiful, there are many more places to discover in North Norfolk, where you might be the only person on the beach or woodland. We have listed a few of our holiday ideas Norfolk. 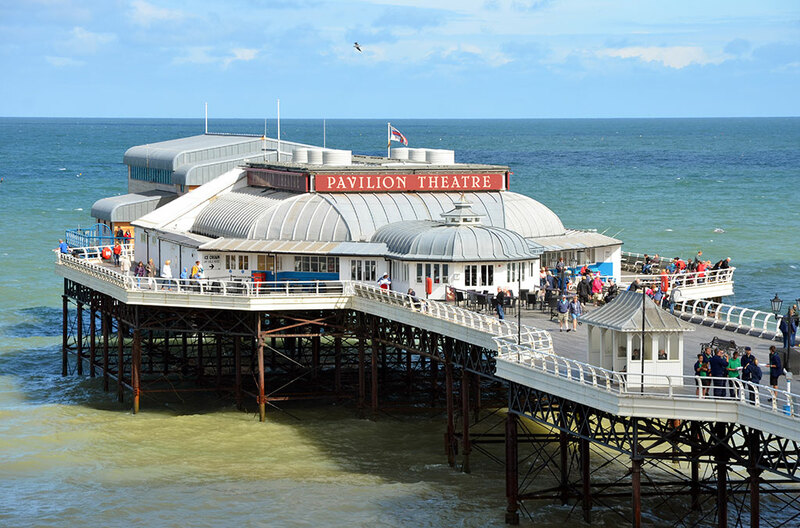 Cromer is a historical seaside town, complete with one of the best preserved piers left in the UK. The tradition theatre at the end produces all the best in seaside entertainment. Crabbing or Gillying as it is known in Norfolk gets very competitive off the end of the pier, whilst more serious fishermen catch Sea bass and mackerel. 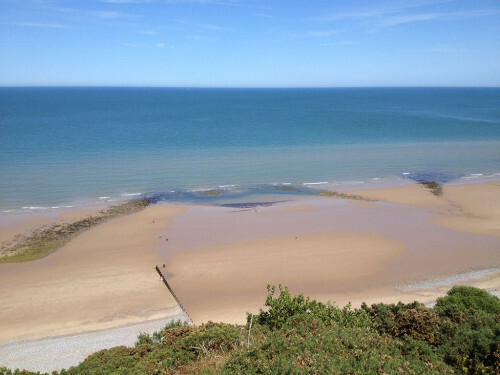 Each year Cromer has a highly successful Carnival week with all manner of attractions and events from the parade day with the Red Arrows to fancy dress competitions, truly something for all the family. The No1 Fish and Chip shop on the front, owned by celebrity chef Galton Blackiston is probably the best fish and chips you will ever have, eaten fresh straight out of the box looking over the sea. Not many people know that Cromer has some of the countries finest Lawn Tennis courts. Forget Wimbledon, anyone can just arrive and play here. Ann Jones who later won Wimbledon was a champion here first! The club was founded in 1885. 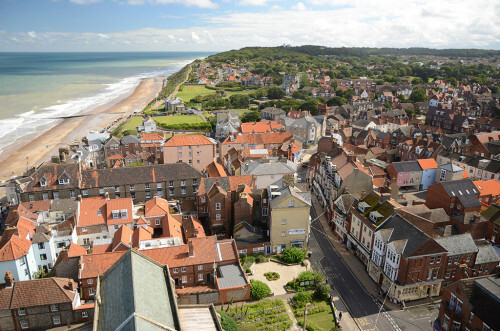 Sheringham is another quaint and traditional seaside town, with the added attraction of the North Norfolk Railway at it’s centre. The station is the focus for the brilliant 1940s weekend, held usually in September, where enthusiasts come from all over the country to take part. It’s truly a wonderful sight seeing the whole town transformed back in time, with 1940s swing dances, spitfire fly pasts and everyone dressing in the costumes of the period. Some people going to huge lengths to be authentic! 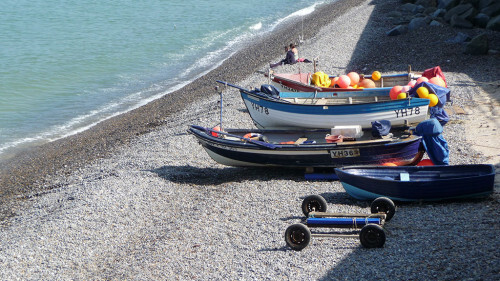 The fabulous beach is a magnet for families with some great places to eat. Our most favourite is The Funky Mackerel – amazing bacon rolls and flapjacks, teamed with great smiley service and good music – oh and an uninterrupted view of the sea! Website here. A real secret gem. Known in the past as The Village Of Millionaires when in Victorian times it was the favoured summer escape of the great and the good of the country. Large properties, a couple designed by Sir Edwin Lutyens, were built, the most famous The Pleasance owned by Lord and Lady Battersea. Poets, artists and writers flocked to the little village and much was written about Poppyland, as the area became known, by the travel write Clement Scott. 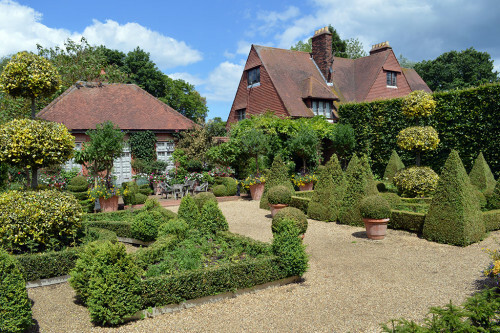 Much remains in the village of it’s illustrious past, including Lord Harbord’s private cricket ground, The Sea Marge Hotel, once the home of Sir Edgar and Lady Speyer where Sir Winston Churchill mobilised the fleet from in the First World War, and many other beautiful buildings. Even the Methodist chapel is designed by Lutyens! Worth a walk around, there are information points around the village outlining the history as you go. The beach is magnificent and great for sand castles! Visit the Overstrand village website here. 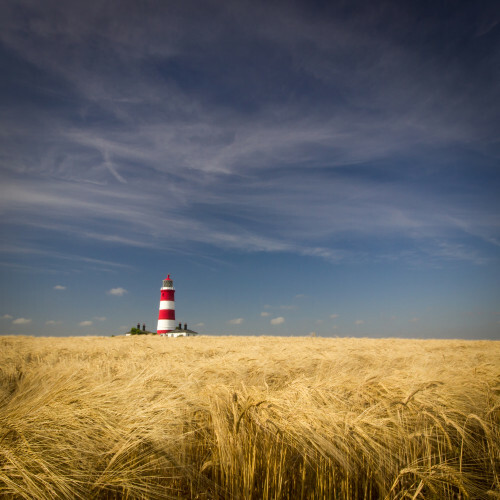 Most famous for its iconic red and white striped lighthouse, often used in marketing material for Norfolk. Ravaged by coastal erosion but an immensely interesting and historical village. Archaeological excavation in the area by The British Museum have found remains of human civilisation dating back 800,000 years making this the site of the earliest known European humans. The beach is a fabulous place to spend a sunny summer day, and a lot less busy than the better known areas. The pub is pretty good too. There’s a village trail you can follow which identifies the most historical and landmark buildings. click here. I must admit to stumbling across this by accident. I cannot believe I did not know it existed. Listed as one of the top ten gardens to visit in England, right on our doorstep! Created in the last 20 years by Alan Gray and Graham Robeson you will truly feel you are walking in the footsteps of Alice in Wonderland. The garden covers 30 acres and spans the world with its incredible planting. Sculpture, lavishly planted terracotta pots and wonderfully decorative walls and gates add to the drama and theatre of this must see horticultural masterpiece. A real treat and very accessible, They also have a mouth watering teashop full of home made goodies for when you need to take a well earned rest. A favourite of ours to visit on a sunny Sunday, even if you are not into plane spotting! A friendly private aerodrome with a great little Cafe. Just park your car and see what happens. You never know what might fly in. We have seen a world war 2 Hurricane trainer plane fly in causing great excitement. If you are feeling brave you can arrange a flight in a microlight over the stunning coastline. You are absolutely spoilt for choice locally. Felbrigg Hall is an intimate house, full of treasures and with a magnificent walled garden and extensive grounds, woodland and parkland to explore. The lake is especially tranquil with many water birds flying in for a visit. Blickling Hall is a lot grander and you need more time to explore this beautiful house properly. 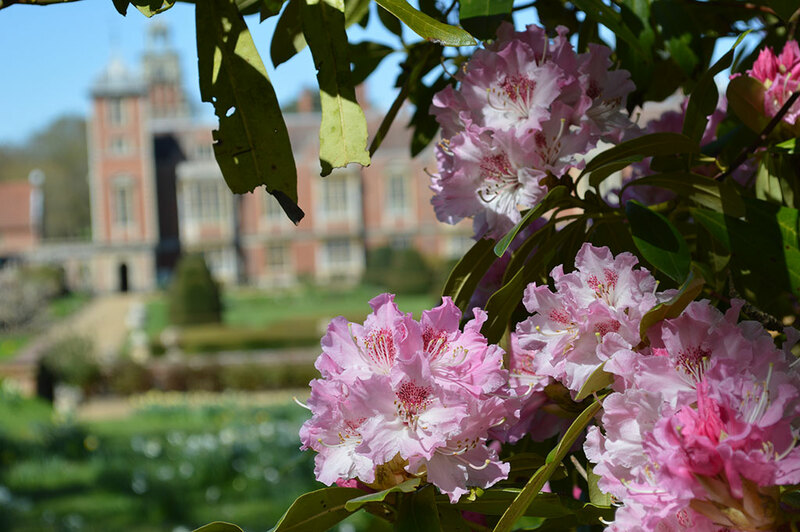 Sheringham Park , designed by Humphrey Repton comes to life in May when the rhododendron bushes burst into colour, a beautiful landscape with coastal views. 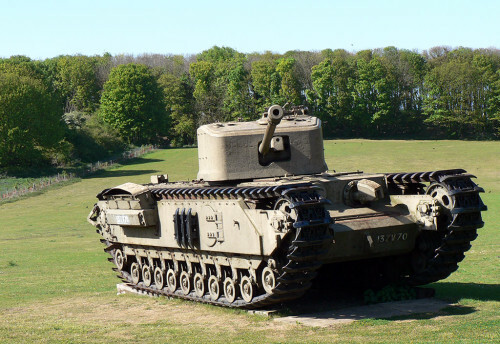 This is the largest privately owned military museum in the UK. 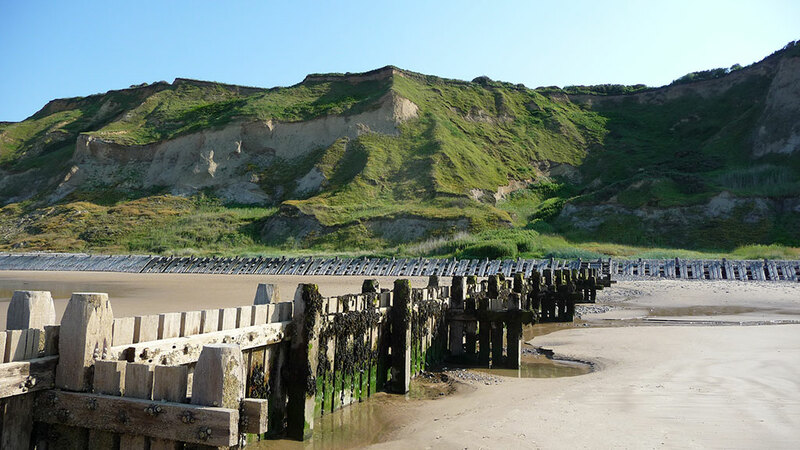 Housed on the site of the old World War Two, Weybourne Military Camp perched on the cliff top overlooking the sea. Many of the original buildings are still intact and it makes for a very interesting afternoon. Lots of memorabilia can be seen alongside the heavyweight military vehicles and armoury. You may even be able to drive a tank! Crabbing from Cromer Pier, get yourself a net, bucket and line and off you go! Walking the amazing coastline, my favourite is between Cromer and Overstrand along the cliff top following the golf course in the heart of Poppyland. Go for a swim in the sea, brace yourself it’s not the Med but get a wetsuit and a body board and you will feel amazingly invigorated! Bird Watching – North Norfolk has a huge diversity of bird life, especially in the migratory months. Get yourself hunkered down in a sand dune or woodland with a flask and see what happens. Seal Spotting. Sit in a sand dune and watch the sea, Hump Back whales have been known to pop their heads up too.